In previous Mom’s calling Q&A series, we have discussed: Which AudioCodes Phone Can I Use When I Move to Teams? Today, we have more new real questions and answers from VoIP users just like you. 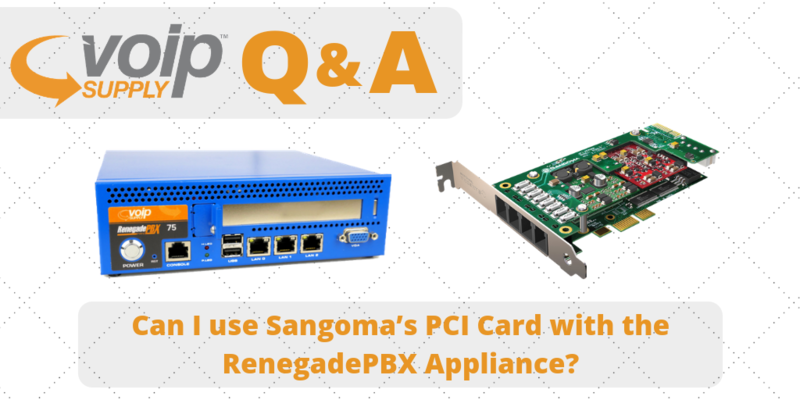 Q: I am looking to purchase a RenegadePBX Pro 75, is the Sangoma A101D compatible with this unit? A: Yes, the RenegadePBX Pro 75 features a PCI slot. The RenegadePBX 1U appliance features 2 PCI slots. The RenegadePBX appliances come with pre-loaded FreePBX open source software. Sangoma also offers a managed fax solution you can add on. Check FAXStation here to learn more.